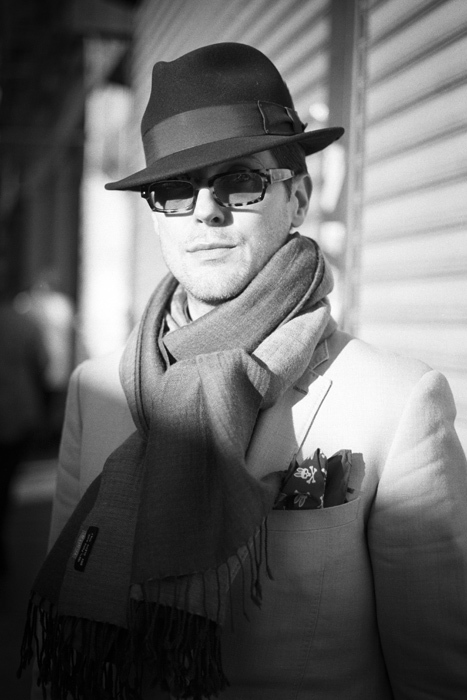 Categories: Men, Popular | Tags: fashion, hat, man, new york city, photography, portrait | Permalink. Wow, love the shadows! Perfect! This looks like a studio photo-shoot, together with 500 (un)necessary people behind the camera, and I mean this in a good way– his outfit, the image, the shadow; everything put in place, like they say „total look“, complete story, together with the twist in his upper left pocket.